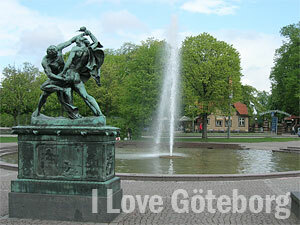 About I Love Gothenburg - the website made by two sisterns living in Goteborg, Sweden. 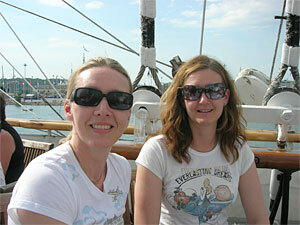 We are two sisters who live in Gothenburg. We love to travel but as we say "home sweet home". After starting a website about our favorite city New York, we thought, why not start a website about the city we live in. There are plenty to see and do even in a big town in Sweden. Yes, you that live in Gothenburg probably first think of the cold winds. It is really true, we have cold winds here. If the wind doesn´t blow a day you start to wonder what has happend. People who have visited Gothenburg at Winter time can´t believe that it is even colder here than in the north of Sweden (Lappland). It´s the strong winds from the sea that forces itself into your body and soul. When we get a warm nice Summer the city comes alive. All the people here get a nice smile on their faces and thinks: at last off with the jackets, the glovs and the caps and now it is time to sit at one of the outdoors cafés. If you like big cities with shopping, theatre and museums, like some history, walk around, have a cup of coffee or like other events... yes, then we recommend you to visit Gothenburg. We will add information to our website as quickly as we can. We gladly take tip, proposals and other corrections etc. We do not have any e-mail to ilovegoteborg.se but you can reach us at the below e-mail. in the future. If you are interested in collaborating or by advertising at ilovegoteborg.se, feel free to contact us. Please email us and tell us more about you and what you are interested in. I Love Gothenburg collaborates with various partners / providers with diverse activities in London. We are not a travel agency but sell airline tickets, hotels, activities, tickets through other actors. When you have completed a booking and questions arise - please contact the ones responsible for the activity you have booked. You may of course also contact us - but consider that it may take several days before we respond. There is no option for us to have 24hr support. You can reach us only by email. We help as far as possible but ultimately, it is always the responsibility of the organizer. 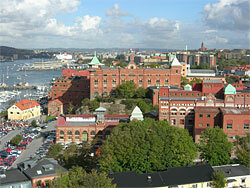 Welcome to Gothenburg and to our website!